The Zero Runner split the code to reproduce true running movement with zero effect. Fusing the Zero Runner into your preparation calendar permits you to keep on including the miles yet without the effect on your joints. The Zero Runner ZR8 is a hybrid of a treadmill and an elliptical so you get the best of both – a true running motion without the impact. 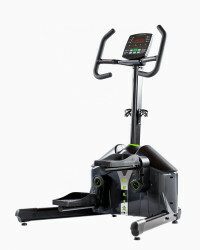 The Spirit Fitness XS895 Adjustable Incline Stepper takes your HIIT workouts (High-Intensity Interval Training) to a new level. 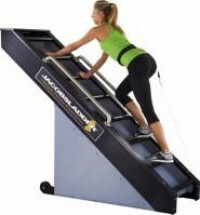 It provides you with an arched incline adjustment that changes not only the stepping incline but also the height. 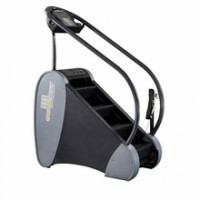 Fine tune your stepping motion with 20 incline adjustments from a 10" step height at 43° to a 14" step height at 60°. The additional 20 levels of resistance allow users of all fitness levels to maximize this effective lower body workout. 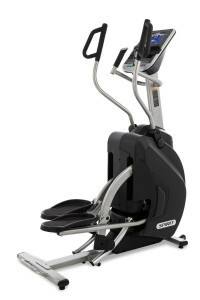 The narrow 2" pedal spacing (Q-Factory), large cushioned pedals, and multi-grip handlebar design combine to give you and incredibly comfortable and space-efficient cardio unit.